Review: The United States Naval Academy (also known as USNA, Annapolis, or Navy) is a four-year coeducational federal service academy located in Annapolis, Maryland, United States. 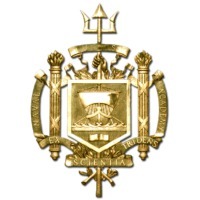 Established in 1845 under George Bancroft, it is the second-oldest of the United States' five service academies, and educates officers for commissioning primarily into the United States Navy and Marine Corps. The 338-acre (137 ha) campus is located on the former grounds of Fort Severn at the confluence of the Severn River and Chesapeake Bay, approximately 33 miles (53 km) east of Washington, D.C. and 26 miles (42 km) southeast of Baltimore, Maryland. The entire campus is a National Historic Landmark and home to many historic sites, buildings, and monuments. Candidates for admission generally must both apply directly to the academy and receive a nomination, usually from a congressman. Students are officers-in-training and are referred to as Midshipmen. Tuition for Midshipmen is fully funded by the Navy in exchange for an active duty service obligation upon graduation. Approximately 1,300 "plebes" enter the Academy each summer for the rigorous Plebe Summer, but only about 1,000 Midshipmen graduate. Graduates are usually commissioned as Ensigns in the Navy or Second Lieutenants in the Marine Corps, and occasionally as officers in the US Air Force, US Army, and U.S. Coast Guard. The academic program grants a Bachelor of Science degree with a curriculum that grades Midshipmen's performance upon a broad academic program, military leadership performance, and mandatory participation in competitive athletics. 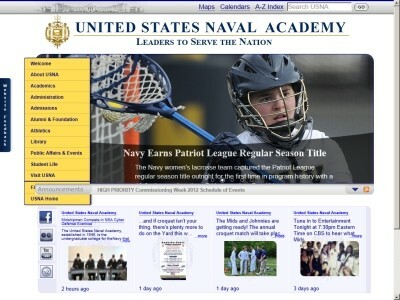 Midshipmen are required to adhere to the Academy's Honor Concept. Location & access map for "United States Naval Academy"